vegan | real food. home made. This weekend my friend Michelle was in town, en route from England to Portland, OR. This afternoon I gave her a tour of my city, Ferndale (which I consider the Portland of Michigan), and we gathered ingredients to make one of my favourite lunches. Everyone I serve it to loves it, and I hope you do too! Chop all of your vegetables. 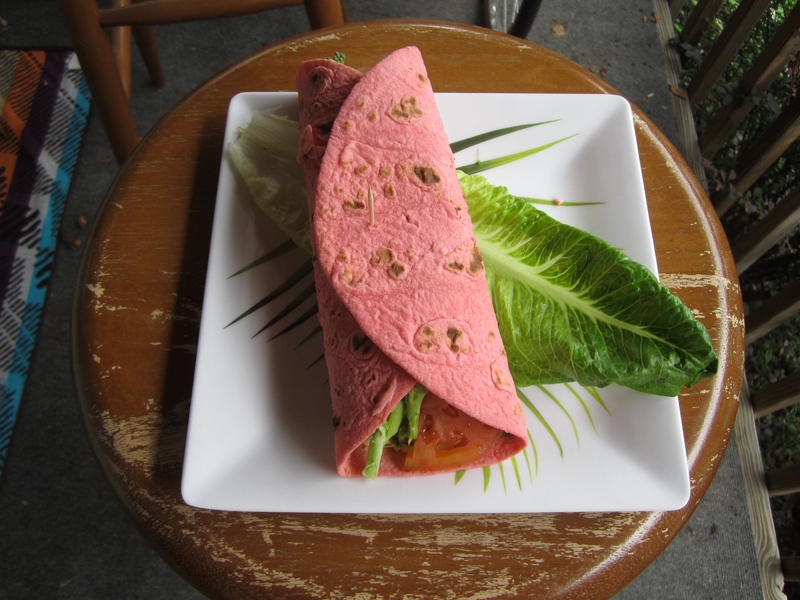 Lay out your wraps and spread sunbutter over one half, and hummus over the other half. 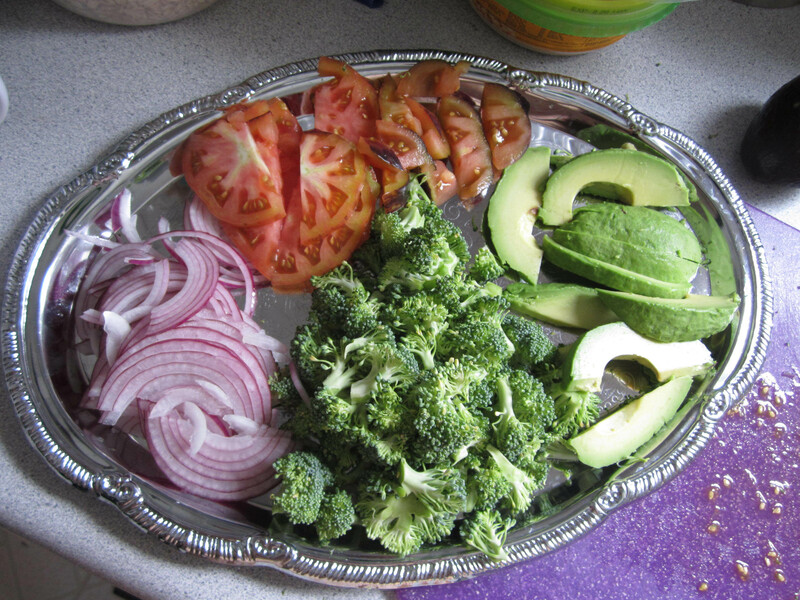 Down the center, place 3 avocado slices, 3 tomato slices, a handful of red onion, a handful of broccoli, and a romaine lettuce leaf. Roll up your wrap, and use the sunbutter as “glue” to hold it together (I usually add a toothpick also to be safe). 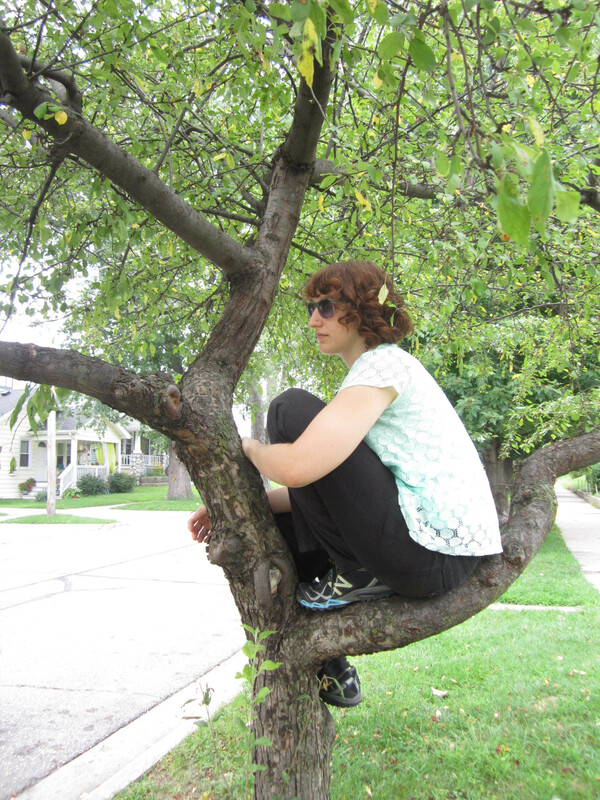 Michelle perched in my tree.